Yesterday, ISM volunteers traveled to the area of Lifjim in East Aqraba, where shepherd Mohammed Ibrahim Abu Hamed grazes his sheep. Thirteen sheep lay dead there, foaming at the nose and mouth, one with green vomit visible – a clear case of poisoning. 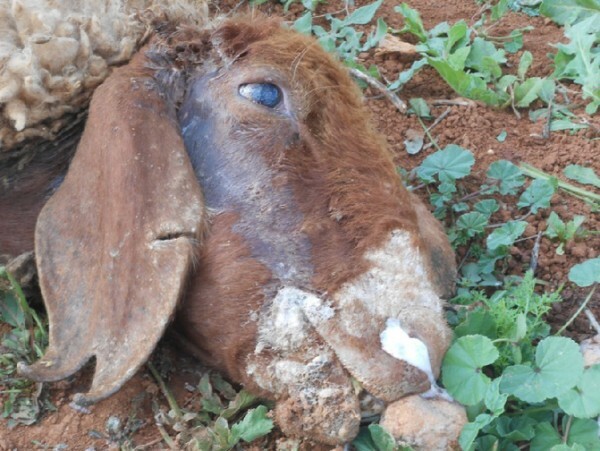 Close-up of one of the poisoned sheep with frothing at the mouth and nose (photo by ISM). 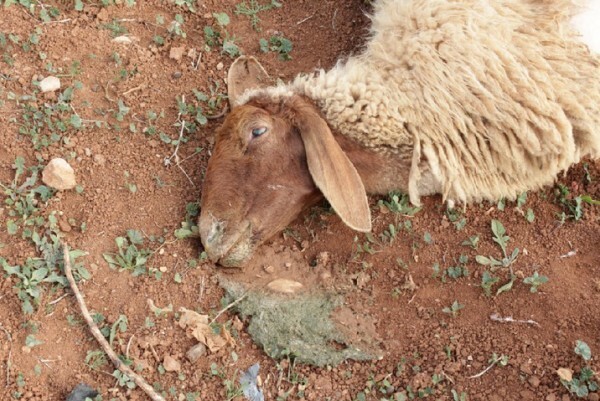 Close-up of a poisoned sheep where green vomit can be seen (photo by ISM). Abu Hamed and the Aqraba Municipality reported seeing a settler named Assaf spread an unknown substance over the land shortly before the sheep died. As the area is under illegal cultivation by settlers, this could have indicated intentional poisoning or indirect toxicity from herbicides. 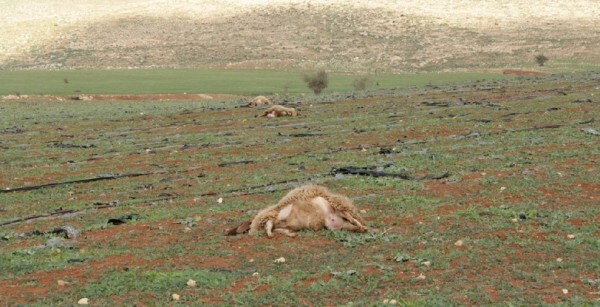 Three of the thirteen sheep killed, stretched out across the land (Photo by ISM). At the municipality office, ISM interviewed a Public Relation Officer named Gloria, who detailed the many difficulties the villages around Aqraba continually deal with. The town of Aqraba is in Area B, which is under Palestinian Authority civil control but partial Israeli security control, but many of the villages under the Aqraba municipality are in Area C, under full Israeli military and civil control. Thus, these communities are constantly threatened by the expansion of Israeli settlements, including the Gittit settlement just south of Lifjim where the sheep were killed. 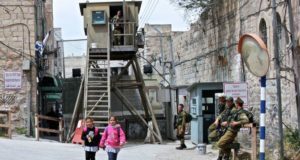 Furthermore, the Israeli military prevent people from building life-sustaining infrastructure such as water and electricity grids and new houses. In the last month and a half alone, the Aqraba municipality has repaired the electricity grid three times after soldiers cut it. On Saturday, five shepherds were out grazing their sheep in the Area B part of Aqraba when at least seven armed settlers came down and attacked them. The settlers shot at the unarmed shepherds and two were injured. A number of people from Aqraba came out with the municipality in response to the shepherds’ call. An hour later the Israeli military showed up, deployed tear gas on the crowd and arrested four shepherds, accusing them of trying to steal from the settlement. Aqraba residents who showed up for the shepherds are met with tear gas (photo by Aqraba Municipality). They are still in prison as of now. 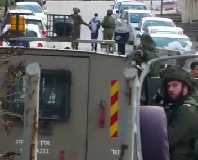 This attack is emblematic of the violence experienced by Palestinians who live near the illegal Israeli settlements. Smiling even as she finished describing the hardships of life under Israeli occupation, Gloria told us she thinks the people here are strong. They hold onto their homes and lives here while facing violence and destruction week after week. Gloria herself speaks English, French and Spanish, allowing her to communicate with many international groups about the occupation. In Aqraba, the phrase “existence is resistance” holds true.